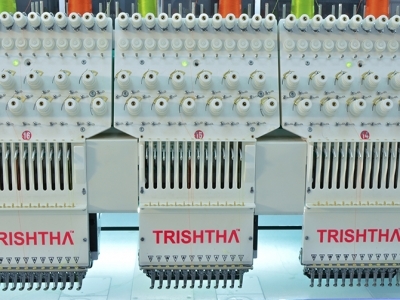 9 Needles 9 Heads Flat Multi Head Computerized Embroidery Machine 8 - Trishtha Industries Pvt. Ltd.
Waterproof vacuumed wrapper Packing inside & wooden case packing outside. 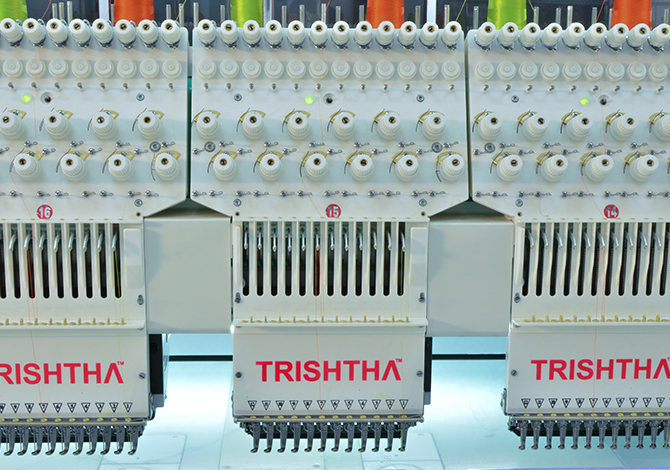 Color-changing System: Automatic color change System avaliable in this machine. 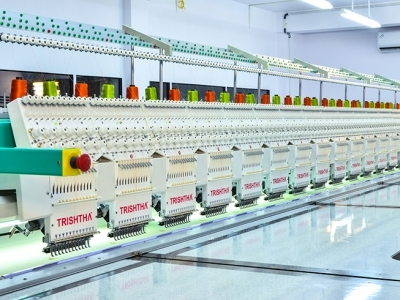 Thread trimming system: Automatic tread trimmer .The machine has multi-heads and needles, can embroider several colors stitch flat designs at the same time, bringing colorful and diversified output. 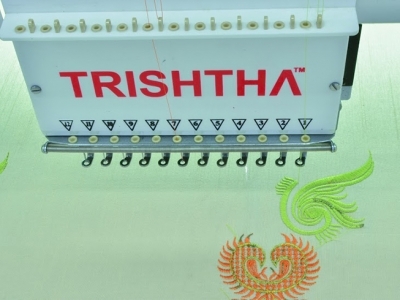 Thread break detecting: Thread break detection. Thread take-up spring or chopping wheel. 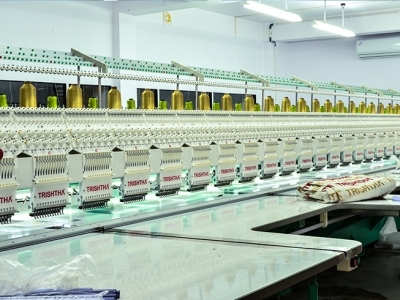 Machine will auto stop and show the thread breakage head position if the thread break or the upper and bobbin thread used up during embroidery. Language: English, Turkish, French, Spanish, Portuguese,Chines. 5 inch Color LCD Monitor. All servo motors (or) (X2 & Y3) steeping Motor | 110 MHz.